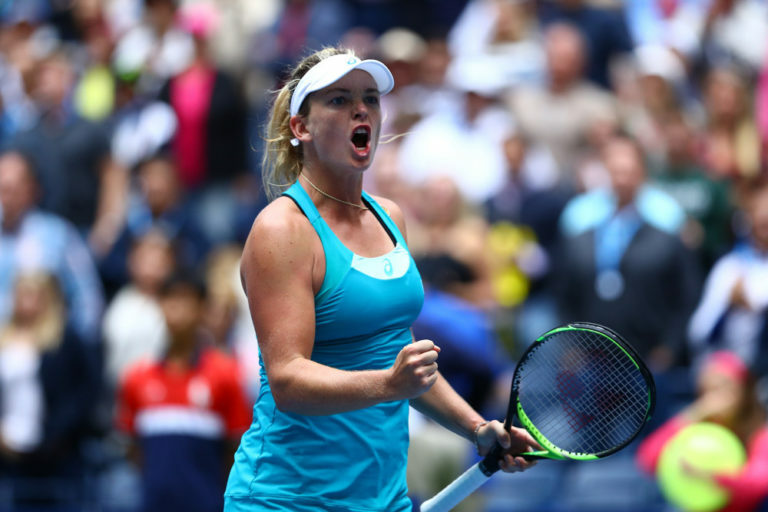 It was an ugly win, but a win nonetheless as CoCo Vandeweghe surged passed No. 10 Agnieszka Radwanska on Saturday to advance to the fourth round of the U.S. Open Tennis Championships in New York. No. 20 seed Vandeweghe stumbled early on, falling behind 2-0 and despite 22 unforced errors, she was able to rally back to overtake Radwanska 7-4. But Vandeweghe’s trouble wasn’t over. She struggled against Radwanska in the second set, allowing Radwanska to win the set 6-4. But Vandeweghe regained her composure and went on to win the third set 6-4. Her overly aggressive style of play has gotten her into trouble in the past, but Saturday she was able to keep it in check, though it still showed through in stats. Vandeweghe had 49 winners and 54 unforced errors. Working with her new coach, Pat Cash, Vandeweghe has been able to channel her energy into moments when aggression is needed. Vandeweghe will next face unseeded Lucie Safarova, but she’s ranked No. 1 in the world in doubles tennis.